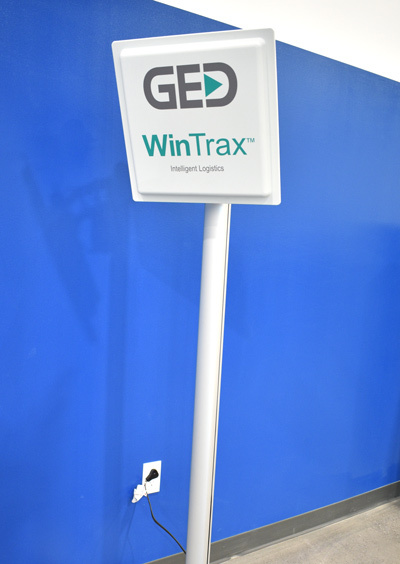 Glenwillow, Ohio – September 28, 2018 | GED Software introduced the WinTrax™ Intelligent Logistics system at GlassBuild 2018. 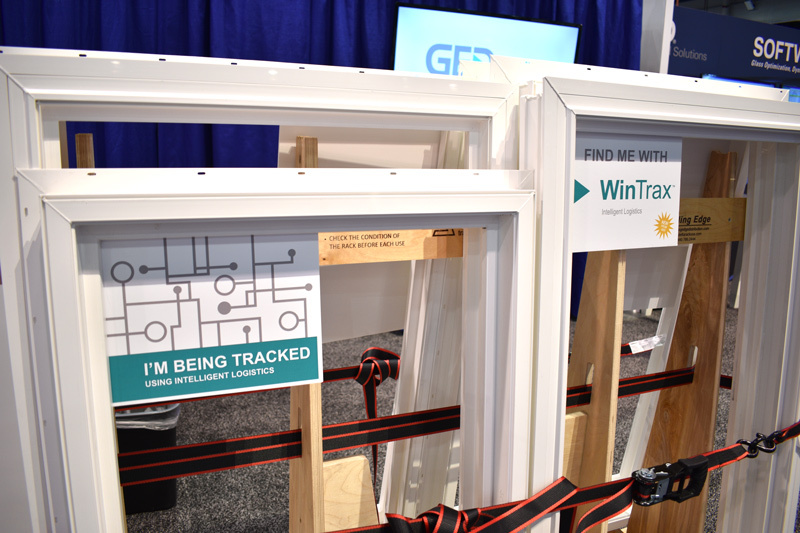 WinTrax software will allow the user to track window components (WIP) and completed windows (finished goods) within residential vinyl window production facilities. “WinTrax is the fundamental platform that is going to give the customer the tool they need to build very powerful tracking, and production management system.” Stated Tim McGlinchy, Executive Vice President of Engineering and R&D at GED. “The system is going to provide immediate pay back by realized efficiencies of not remaking lost windows and by providing the ability to get windows through production in a very predictable manner,” McGlinchy concluded. 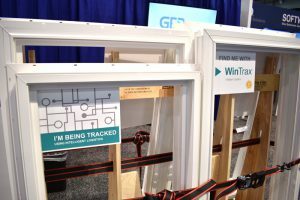 In phase one of the product introduction, WinTrax Intelligent Logistics will focus on the window frame production process. Each window frame receives a tag applied at either the fabrication saw or welder, depending on the customer’s process. The tag can either be generated at the machine or in the production office as part of the report “packet” for each production run. After the tag is applied and introduced into the WinTrax system the WinTrax gateways track the units through the production process to shipping where units are loaded into trucks. The manufacturing sequence is monitored and operators are alerted if windows are presented out of sequence, eliminating production errors. This advanced technology has significant advantages over the current barcode tracking process for several reasons: no direct line of sight required, multiple tags read simultaneously, fewer read errors, and it eliminates operator error. Future phases will include additional tracking of window components within production as well as within the logistics channels. These phases will be introduced later in the year and throughout 2019. 20 window and door manufacturers utilize GED’s equipment and software solutions. GED is located at 31100 Diamond Parkway, Glenwillow, Ohio 44139. Visit www.GEDUSA.com to learn more.